Diana, Princess of Wales was, and still is one of the greatest Icons of our time. It's been more than twenty years since Diana's death on that fateful night in Paris, yet no lasting tribute to this remarkable woman has been bestowed upon us… until now. PETALUMA, Calif. - Aug. 19, 2018 - PRLog -- Santa Rosa / London: David Smart, one of the most prolific composers in TV advertising in the UK, and Brian Watson, lyricist and award winning writer in the advertising industry have teamed up with Broadwayworld's nominee director John DeGaetano, and California based North Bay Stage Company production team to bring the musical tribute to the London stage. "Call Me Diana is a long awaited musical tribute to a remarkable woman," says Brian Watson, lyricist for the show. "It's a celebration of the undying love for the People's Princess who left the world a legacy which, seemingly, will go on forever. There's no mention of conspiracy theories or other such distractions, this musical is written to keep the memory of Diana, Princess of Wales alive in the hearts and minds of audiences right across the globe." 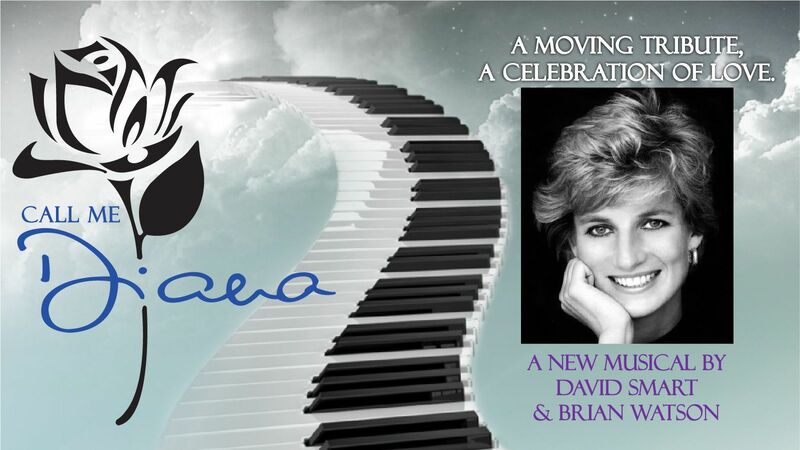 "For over ten years David and I knew a true tribute to Diana, Princess of Wales had to be created," Brian Watson commented, "We didn't want to just entertain the audience; we want to make our audiences feel comfortable with the accuracy of the story as it unfolds" The team has compiled several incentives for donors and sponsors on the site ranging from autographed photos, tickets, company sponsorships, and show posters. Everyone who sponsors this wonderful show will have his/her name printed in the show program, at every future performance. The world will know that they helped bring this spectacular tribute to life. The aim is to perform the showcase in front of an invited audience of Producers, Investors and the Media to raise the funding needed to stage the full production.